Simple but effective designer chair which is very easy to maintain and perfect for use outdoor use in a busy high street. 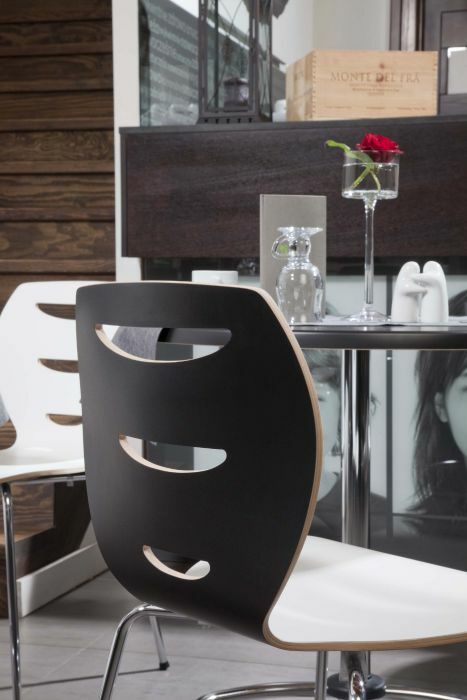 Trendy look and used in upmarket bars and cafes. 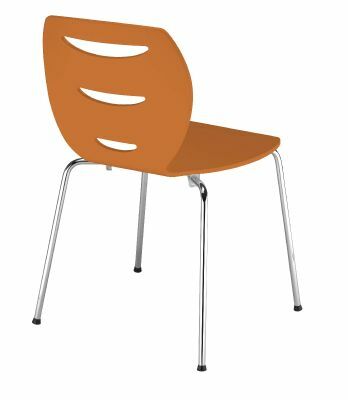 As this is a made to order item the manufacture lead time is approximately four weeks from order. 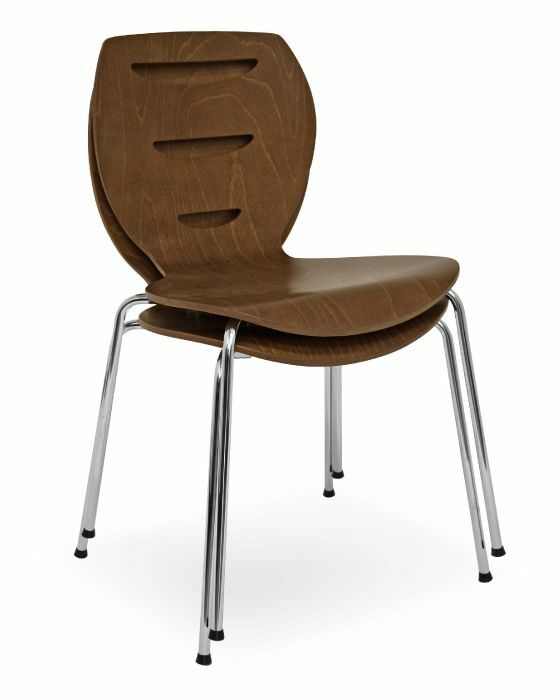 Strong plywood chair held together with a stylish chrome frame. 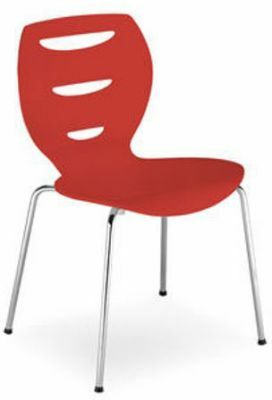 Robust and designed for both indoor and outdoor use. 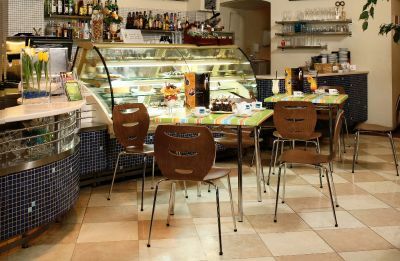 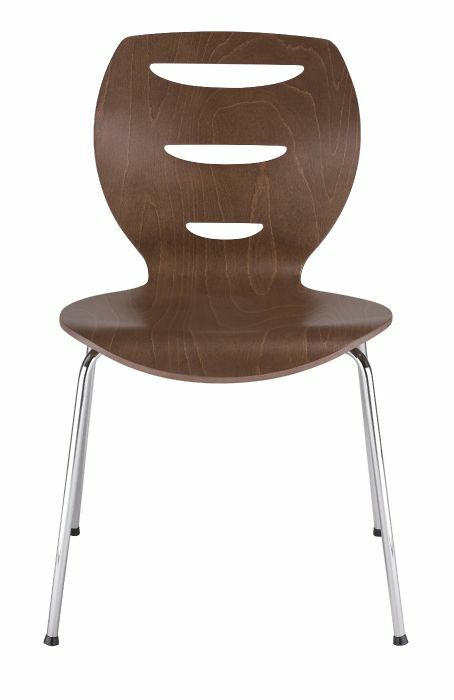 THis chair is perfect for a new trendy cafe or refurbishment.